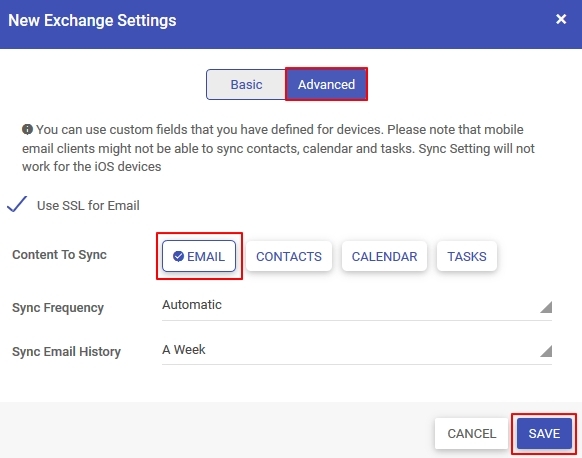 MobiLock addresses this by providing you with an easy to use Exchange Settings section, where you can configure the Exchange policy for your organization and then push them to MobiLock managed iOS devices. 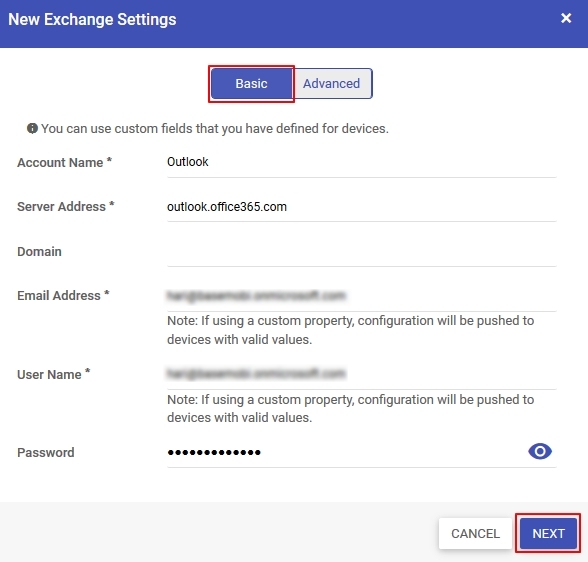 In this guide, we will see how to create, configure and publish an Exchange ActiveSync settings from MobiLock Dashboard. ✅ Login to MobiLock Dashboard . ✅ Have access to one MobiLock managed iOS device . Navigate to Email Utilities ➞ Exchange Settings. This section will display all the existing configurations and the actions that can be performed on them. Click on Add New to start adding a configuration. Basic: Configure the mandatory settings in this tab. Advanced: Choose the content to you want to sync. The Mail app for iOS will not sync Contacts, Calendar, and Tasks. Sync Frequency and Sync Email History will not work on iOS devices. Click on Save. Once the configuration is saved, it will display in the list as shown below. 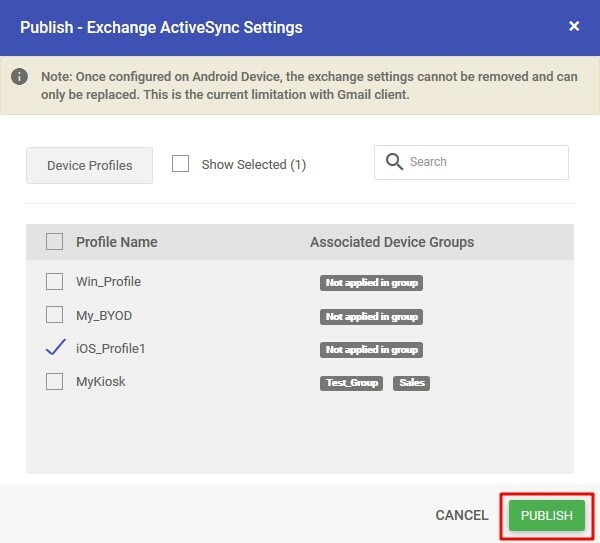 Under the Exchange ActiveSync Settings page, click on the Publish icon of the respective Account Name. From the list of Device Profiles, select the profile where you want to apply the configuration to and select Publish. Once the configuration is published to a device profile, it will be pushed to all the devices in that profile and the Mail client on the devices will be configured.